Others think the notion of a timeless God, with its perceptual metaphor of God passively perceiving each and every moment of time in a single, unchanging, comprehensive vision, fails to give God the freedom to act in creation, in particular, in the future. Suppose a student receives acceptances from three different universities and is trying to decide which to attend. She prays to God: ‘Lord, at which of the three universities will I have the best overall collegiate experience?’ On the timelessness view, God sees only the choice our petitioner actually makes, not the alternative futures that would have transpired had she chosen to go elsewhere. So how can God answer this prayer? Given his necessary perfections, if there is a best world for God to create then it appears he would have no choice other than to create it. 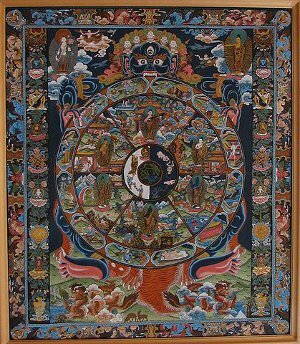 For, as Leibniz tells us, ‘to do less good than one could is to be lacking in wisdom or in goodness.’ Since it is strictly impossible for God to be lacking in wisdom or goodness, his inability to do otherwise than create the best possible world is no limitation on his power. But if God could not do otherwise than create the best world, he created the world out of necessity, and not freely. And, if that is so, it may be argued that we have no reason to be thankful to God for creating us, since, being parts of the best possible world, God was simply unable to do anything other than create us. … [Leibniz’s reasoning] cannot avoid the conclusion that God is not sufficiently free in creating, and is therefore not a fit subject of gratitude or moral praise for creating the best. 4 Cain righteous Abel slays. 8 Out of the ark they came. 11 They Babel rear, confounded are. 12 Abram is call’d and blest. To aid in memorization, the stanzas begin with successive letters of the alphabet, so a stanza that starts with A always marks the first chapter of a book, B the 5th, C the 9th, and so on. Once we’ve memorized the stanzas above, we can always name the chapter in Genesis in which the Tower of Babel is described: It’s the third line of the stanza beginning with C, so it’s chapter 11. Conversely, if we’re asked to name the subject of any given chapter, we can produce the answer using the same system. 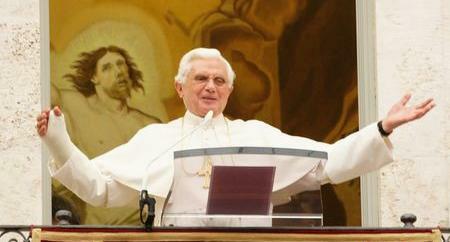 In April 2005, when the Vatican began to seek a successor to John Paul II, technology author Rogers Cadenhead registered the domain names ClementXV.com, InnocentXIV.com, LeoXIV.com, BenedictXVI.com, PaulVII.com, and PiusXIII.com, hoping that the new pope would take one of these names. “Whatever decision I make will be guided by the desire not to make 1.5 billion people mad at me … including my grandmother,” he told the Washington Post. As I write this, the domain appears to be unused — perhaps they’re still negotiating. 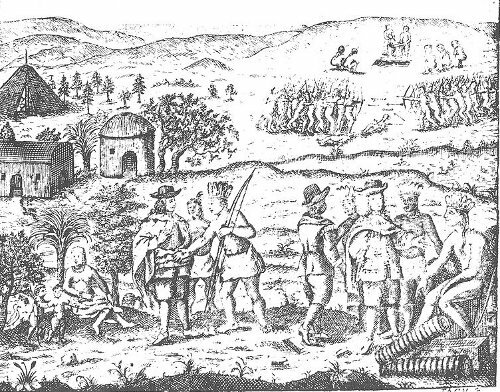 A Swedish minister having assembled the chiefs of the Susquehanna Indians, made a sermon to them, acquainting them with the principal historical facts on which our religion is founded — such as the fall of our first parents by eating an apple, the coming of Christ to repair the mischief, his miracles and suffering, etc. When he had finished an Indian orator stood up to thank him. ‘What you have told us,’ says he, ‘is all very good. It is indeed bad to eat apples. It is better to make them all into cider. We are much obliged by your kindness in coming so far to tell us those things which you have heard from your mothers. In return, I will tell you some of those we have heard from ours. ‘In the beginning, our fathers had only the flesh of animals to subsist on, and if their hunting was unsuccessful they were starving. Two of our young hunters, having killed a deer, made a fire in the woods to boil some parts of it. When they were about to satisfy their hunger, they beheld a beautiful young woman descend from the clouds and seat herself on that hill which you see yonder among the Blue Mountains. 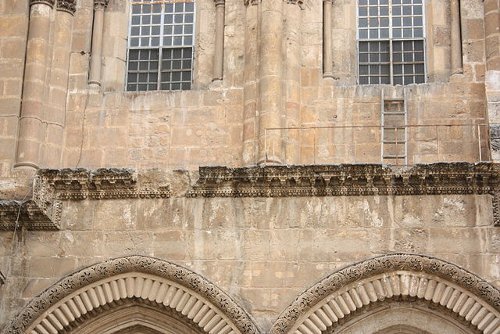 Above the facade of the Church of the Holy Sepulchre in Jerusalem is a ladder that has remained in place since the 19th century. 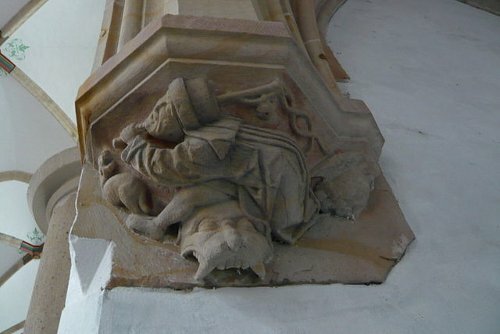 At that time an edict was passed holding that the church’s doors and window ledges are “common ground” for the various Christian orders; as a result, no church can move anything near the window — including the ladder. 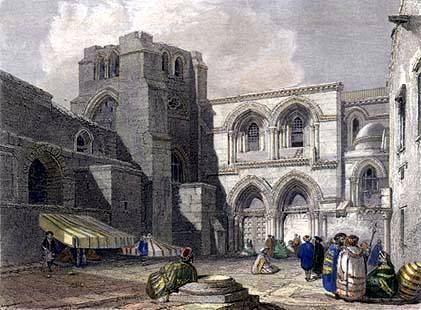 It’s visible in the engraving below, which was made in 1834. Apropos of Eskimo, I once heard a missionary describe the extraordinary difficulty he had found in translating the Bible into Eskimo. It was useless to talk of corn or wine to a people who did not know even what they meant, so he had to use equivalents within their powers of comprehension. 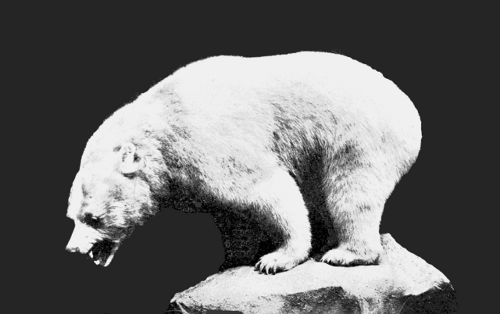 Thus in the Eskimo version of the Scriptures the miracle of Cana of Galilee is described as turning the water into blubber; the 8th verse of the 5th chapter of the First Epistle of St. Peter ran: ‘Your adversary the devil, as a roaring Polar bear walketh about, seeking whom he may devour.’ In the same way ‘A land flowing with milk and honey’ became ‘A land flowing with whale’s blubber,’ and throughout the New Testament the words ‘Lamb of God’ had to be translated ‘little Seal of God,’ as the nearest possible equivalent. The missionary added that his converts had the lowest opinion of Jonah for not having utilised his exceptional opportunities by killing and eating the whale. 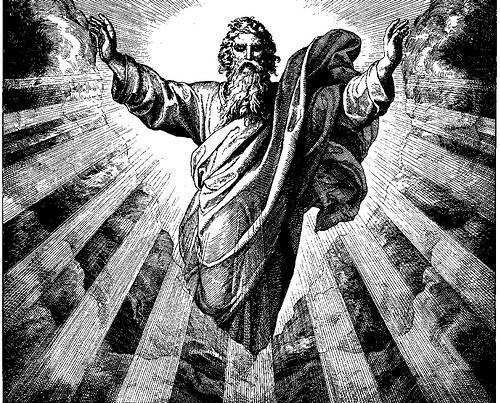 In the 14th century, an unnamed Kabbalistic scholar declared that the universe contains 301,655,722 angels.